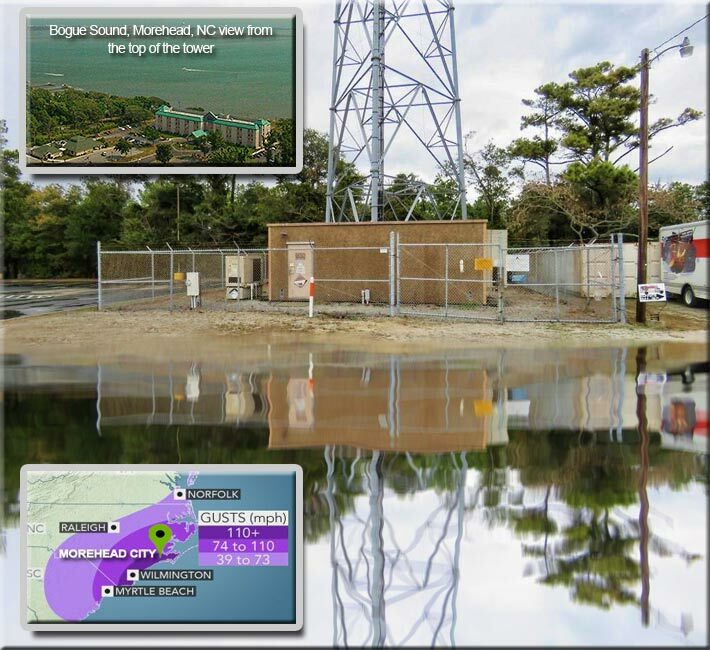 This 250-foot self-supporting tower with Verizon as a tenant was built in 1995 and is located in Morehead City, N.C., just two blocks from Bogue Sound, a coastal area that is expecting storm surges of up to 13 feet, according to Weather.com’s Thursday afternoon forecast. There was no collective sigh of relief from wireless infrastructure technicians and management as Hurricane Florence was downgraded from a Category 4 to a Category 2 storm early this morning. Instead, news that the storm has widened and may stay over the coast of the Carolinas for a longer period of time, causing extensive flooding and cell site fuel resupply issues, heightened their concern. The American Tower Corp. tower, pictured above, is located two blocks off of Bogue Sound in Morehead City, N.C. where a storm surge could reach up to 13 feet, possibly destroying the generator and damaging the equipment building. It’s likely that the structure would not collapse since the tower was built in 1995, and the basic wind speed design requirement at that time under TIA/EIA 222-E was 110 mph. However, as identified numerous times when Hurricane Katrina decimated Louisiana in 2005, hurricanes can spawn short-lived tornadoes that will collapse almost anything in their path. The structure’s location is almost at ground zero for Hurricane Florence’s onshore onslaught. Hurricane Florence is currently spreading rain and wind into the Carolinas. Outer rain bands are already pushing ashore in eastern North Carolina, and a destructive storm surge will accompany the eye coming ashore sometime from tonight into Friday, and coastal flooding may continue through multiple high tide cycles into this weekend east of the center of Florence. Elevated water levels may persist for some time after landfall in areas where onshore winds persist. The forecast calls for as much as 40 inches of rain over seven days along the coast, with the deluge continuing even as the center of the storm slogs away over the Appalachian Mountains. When it’s safe to deploy drones and personnel, carriers will put into place their disaster recovery plans of providing temporary cell sites, assessing the damage and begin restoration and fuel resupply efforts. Tower owners will also be sending out crews to assess and assist with their recovery efforts. 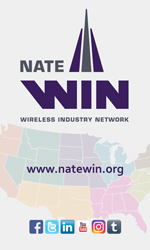 Many thousands of wireless infrastructure personnel have been dedicated to ensuring that mobile networks continue to serve emergency personnel and the millions of mobile users in the storm-effected area. The FCC’s Disaster Information System is in effect and tomorrow’s data will provide the first indication of how networks held up to the initial landfall of Hurricane Florence. Wireless Estimator is requesting its readers to send in their wireless infrastructure-related storm damage and restoration pictures to info@wirelessestimator.com.